Be honest... did you ever imagine a world where hexagons and seam rippers could coexist without enmity? Yet here we are. It's no longer just a beautiful dream for the lucky few. WE. ARE. READY! Set those Weapons of Fabric Destruction aside and press forward. On, to a brave new world, where seam rippers are used only for button holes! Do you feel like you came in during intermission? 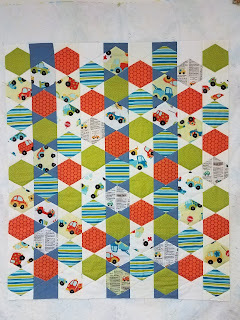 This is part 2 of Introduction to Seamless Piecing. Not to worry though. You can catch up on Part 1 here. Don't try to deny it! You totally just read that in TV announcer voice. Probably Jack Bauer. 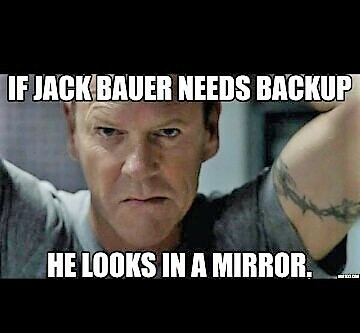 Does anyone else miss 24? But seriously... Last time we talked about how to make a hexagon template and to press the hexagons so they fit onto the background strips. Then we sewed the strips together. No! wait! That's another TV show. Sheesh! Give me a minute to closet my latent thespian and get back to hexagons. Your assignment was to finish cutting and pressing the hexagons, then build the columns and sew them together. Did you get that far? Hexis All Over - ready to quilt. Please don't tell me the dog ate your homework. I'm pretty sure only my dog really does that. Today we're going to quilt what we started last time. I'm very excited about it. Where were we? Oh yes. 9 columns of hexagons. Sewn but not trimmed. Right... that's where we left off... lunch time! Step 7 : A Quilt Sandwich and a Diet Pepsi, to go. If any of the background strips in the flimsy (another name for an unquilted quilt top) are super long and in the way on the top or bottom, you can lop them off. But it's not necessary at this time. 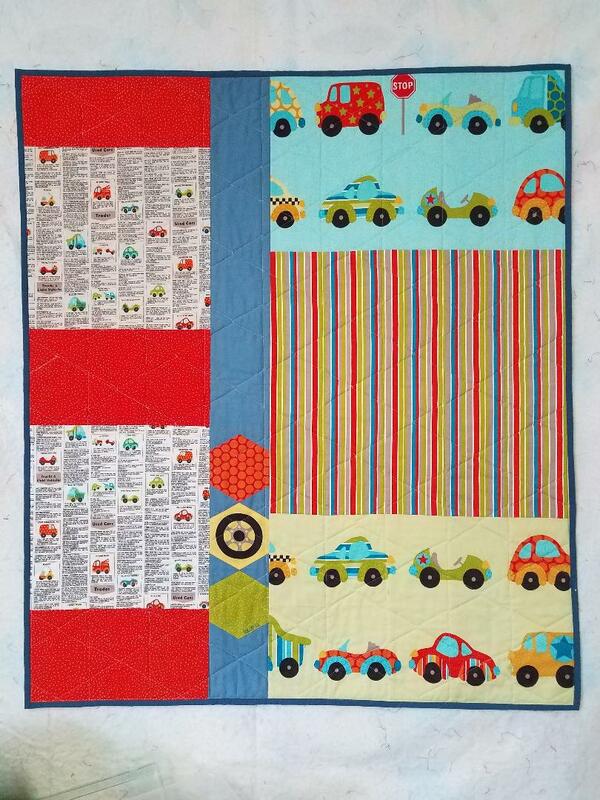 It can even be helpful to have that extra bit of fabric for maneuvering while quilting. Your backing and batting should be a few inches larger than the quilt top on all sides. 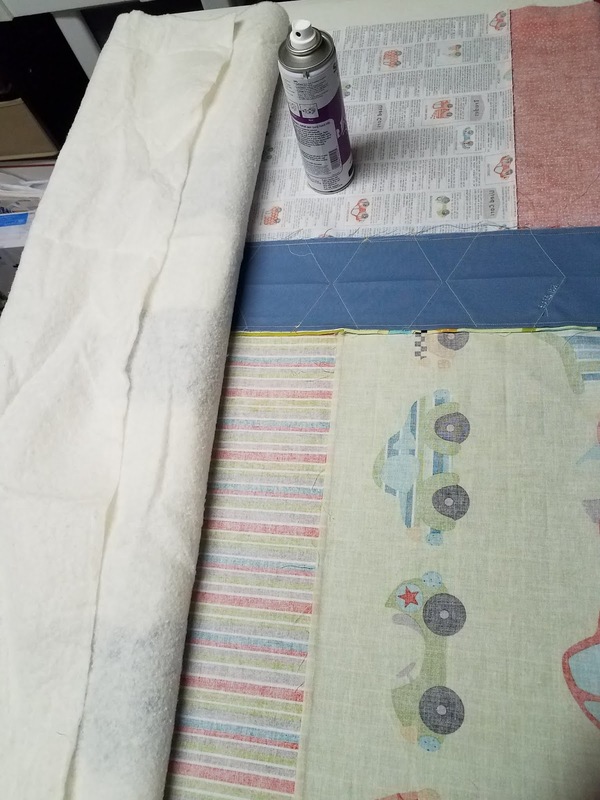 To spray baste, roll back the batting and spray the fabric. Lay out the backing right side down, then center the batting on top of the back. Arrange the quilt top right side up, centered on the batting. Make sure everything is smooth and the top hasn't overshot the back and batting anywhere. If you are using fusible batting, fuse it now. 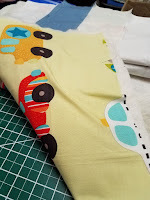 If using spray adhesive, roll back the flimsy and batting exposing about half the backing fabric. Lightly spray the fabric. Carefully replace the batting onto the backing fabric. Then spray the back of the quilt top with spray baste, and carefully replace it onto the batting. Repeat on the other half of the quilt. I don't recommend pin basting just because I haven't had good results with them. I like the stability of starch products, ie: fusible or spray. If you have success with pins, please share how you made it work. When everything is sprayed and unrolled, give the sandwich a pat-down to secure the adhesive. Pay special attention to the edges. If you feel any lumps, just peel the layers apart from the pucker to the edge and pat them together again without the wrinkle. Tip: Don't slide your hand across the layers. That may pull or stretch the fabric or batting and cause puckering. Just pat it all over. Step 8 : Piece as You Quilt! Quilt the sandwich on your domestic machine with a straight line grid. Begin by stitching in the ditch of each of the seams. This will stabilize the columns so there will be no shifting while quilting. Using a guide foot will keep the stitching nice and straight. To finish the piecing, you'll need to stitch across each of the four sides of every hexagon that has not been sewn into a seam. Mark any negative space you need. Move across the quilt in a straight line fashion, keep the guide foot running in a straight line along the hexis, only moving my needle to the left or right as needed to catch each edge in the quilting. My setting were 0.5 on the left and 3.5 on the right. Yours may be different. I do all the parallel lines that run from bottom left to top right. Then all the parallel lines running from top left to bottom right. The goal is to just catch the edge of each hexi, but also to catch ALL of the edge. 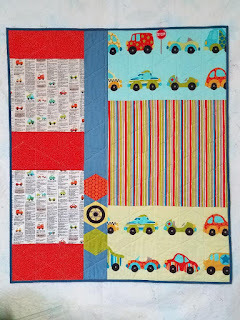 Do some experimenting before you commit on the quilt. Moving the needle every few inches can seem pesky, but you'll get in the rhythm quickly. 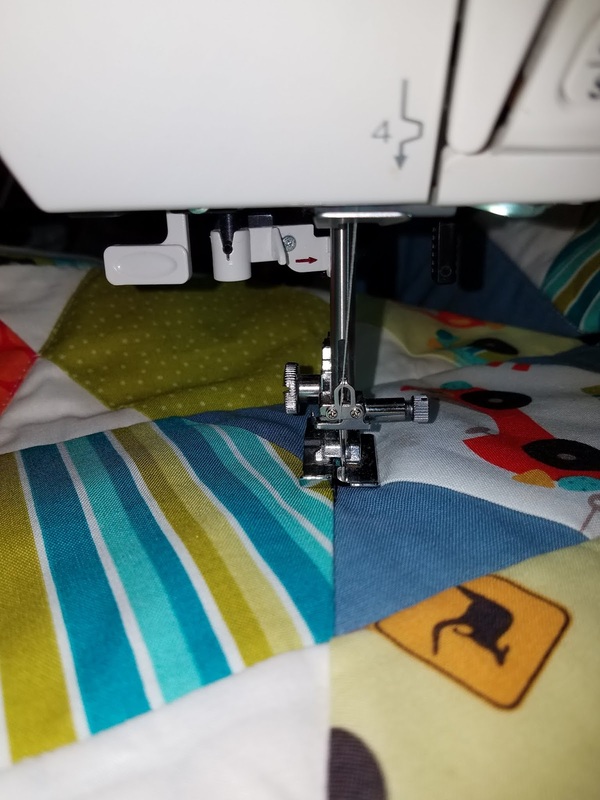 A faster way would be to use a twin needle. It would use twice as much thread, but half as much time. Your guide foot would still move in a straight line, but you'd sew on and off the hexi at the same time. I believe it would make Seamless Piecing super fast. I always say my next project will be quilted with a twin needle. 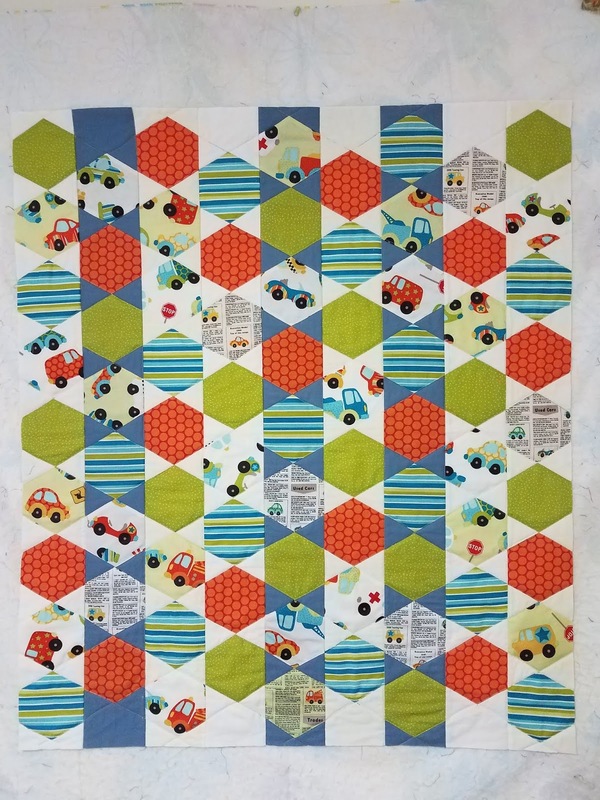 But I never remember until I'm too far into the quilting to change. Squared and ready to bind. Square and bind in your favorite way. We'll talk about squaring and binding the Hexis All Over quilt in next week's post. Step 10: Do it again!!!! 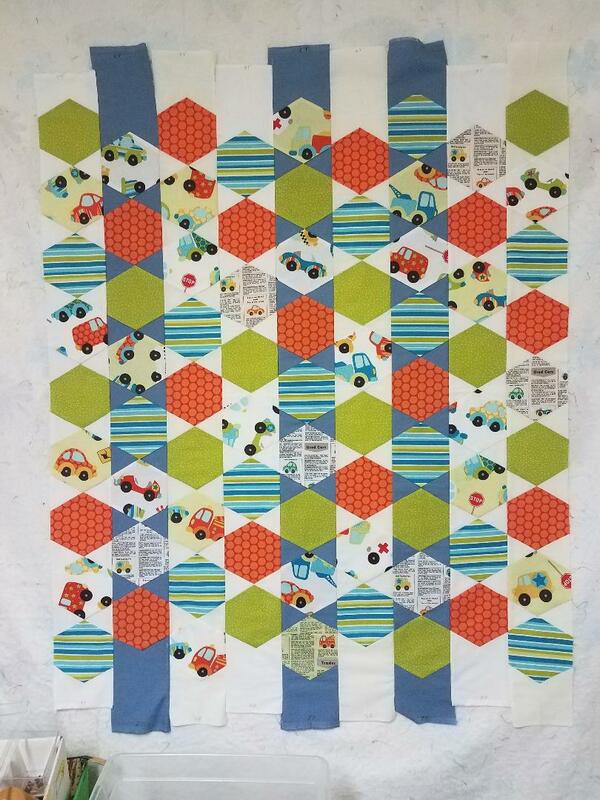 Did you ever think you could make a Hexagon quilt, start to finish, in just a few days? Nope? You were not alone my friend. NOW you have the knowledge and skill that sets you apart from the rest, in a GREAT way! Now that you know it can be done, please share the link with your friends. Upload pictures of your hexagon quilt. We all want to see! You can follow here by clicking on the Followers button in the right side bar. Leave questions in the comments below. PS. Next week I'll show you the binding method that changed my life.